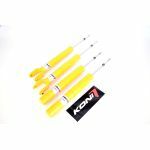 A pioneer in this field since 1857, KONI provides leading, durable and experience-improving technology. KONI helps people move comfortably at whatever speed they desire, wherever they are. 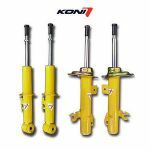 KONI is everywhere from street cars to trains to industrial applications, such as bridges, being used in the most extreme conditions, including the dry Sahara desert and the freezing poles, proving that KONI dampers perform when tested.